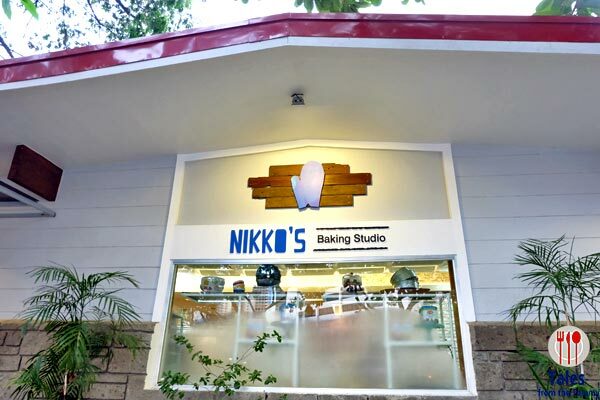 Nikko’s Baking Studio, located along Paseo De Roxas in Makati, across the old PNB property. A quaint little space in a sea of skyscrapers, at present a bakery and cafe and in the future, a baking school. 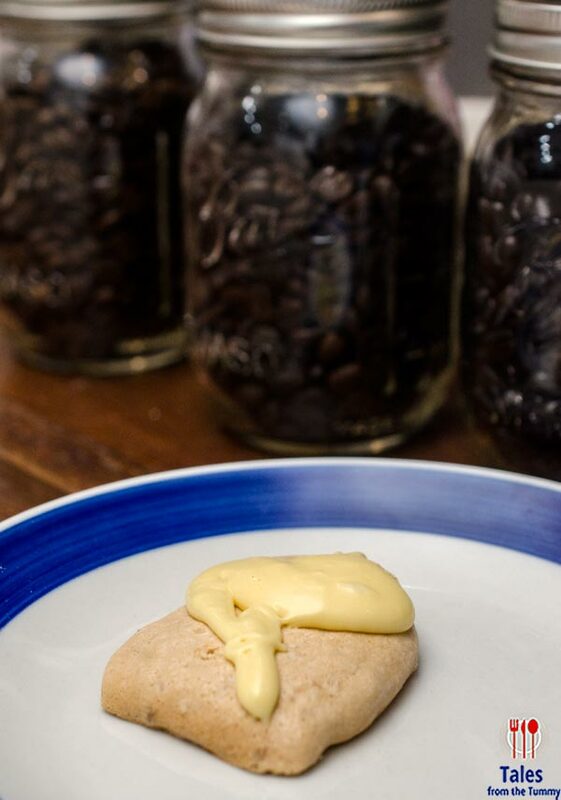 Chef Nikko Buendia is the genius behind this multi use property, her baked goods fill the space with aromatic spendor and sweet temptations. 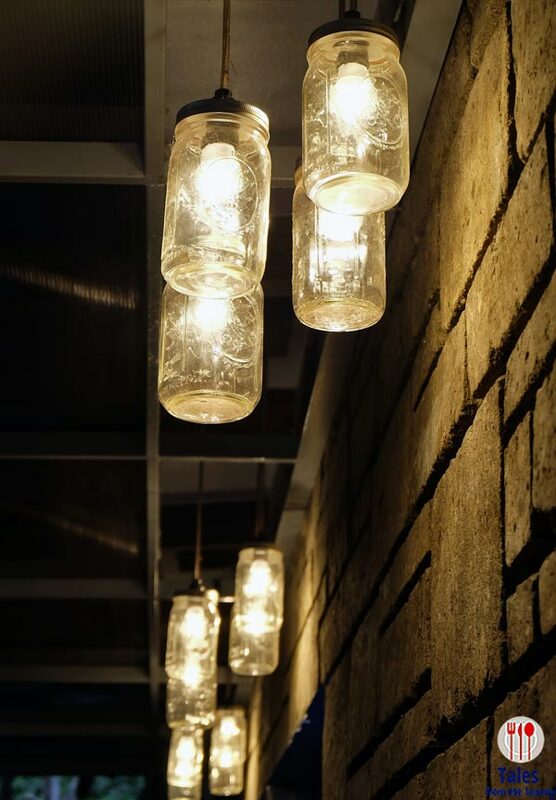 Look up and see these cute mason jar lights bathing the space with a nice hue. Who knew they could be used for more than just pickling and drink containers. 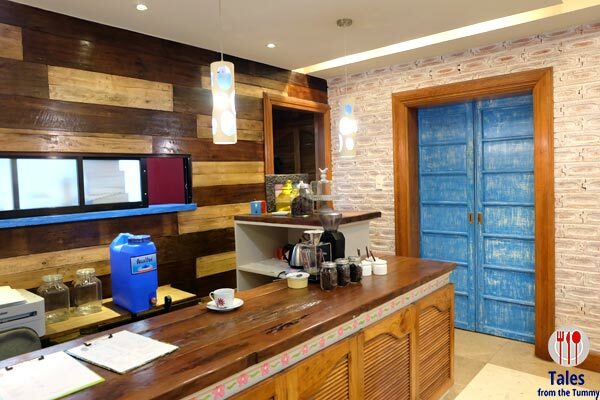 This is the foyer area which has the coffee bar and separates the kitchen on the left and the baking studio to the right. The blue sliding door hide Chef Nikko’s prized ovens. 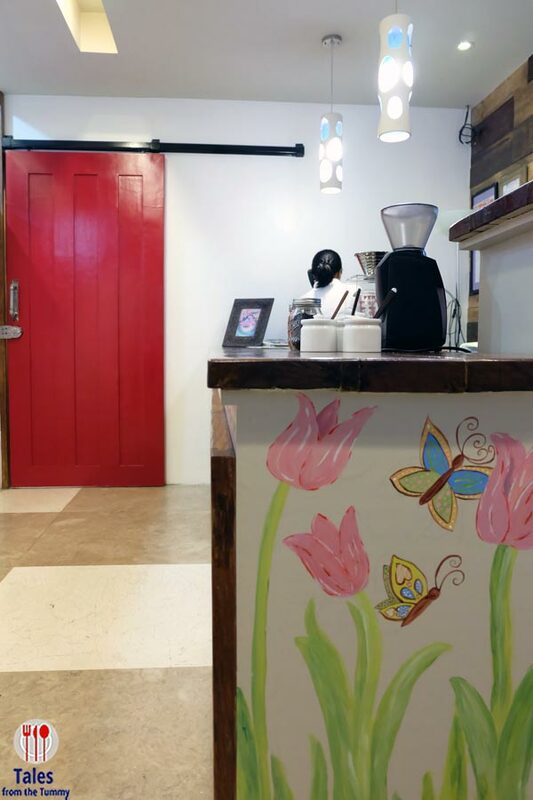 Look at the lovely artistic touches on the side of the coffee bar with a bright red door in the background. 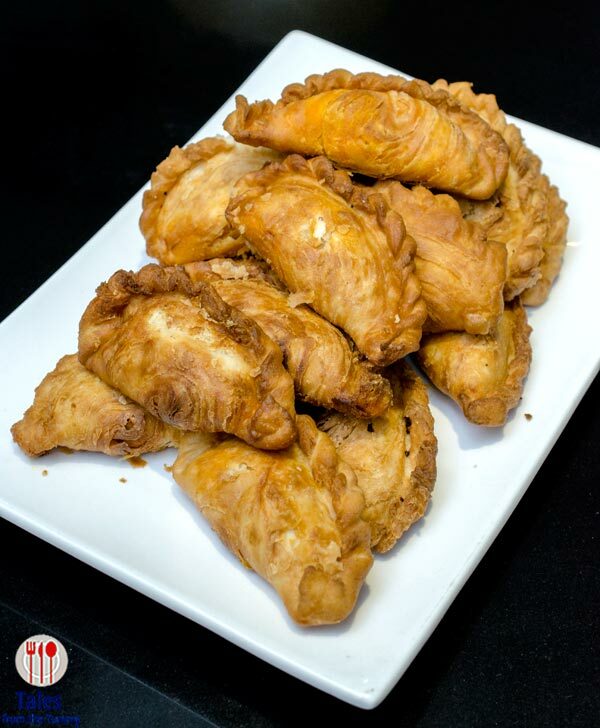 Chef Nikko gave us a sneak taste of both her savory and sweet creations starting with the Chorizo Empanada Kaliskis (P425/box of 5). 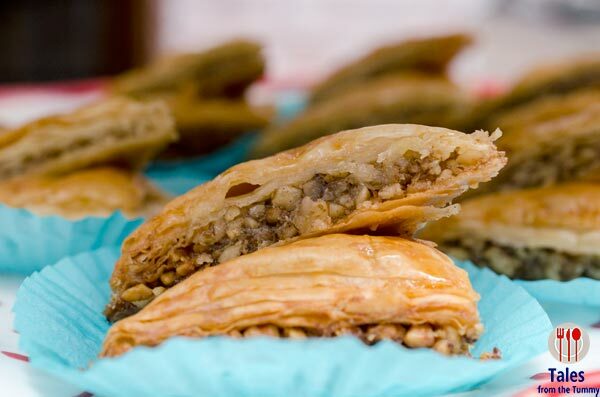 These are so good you can not stop at just one, flaky crust with savory pieces of chorizo inside. 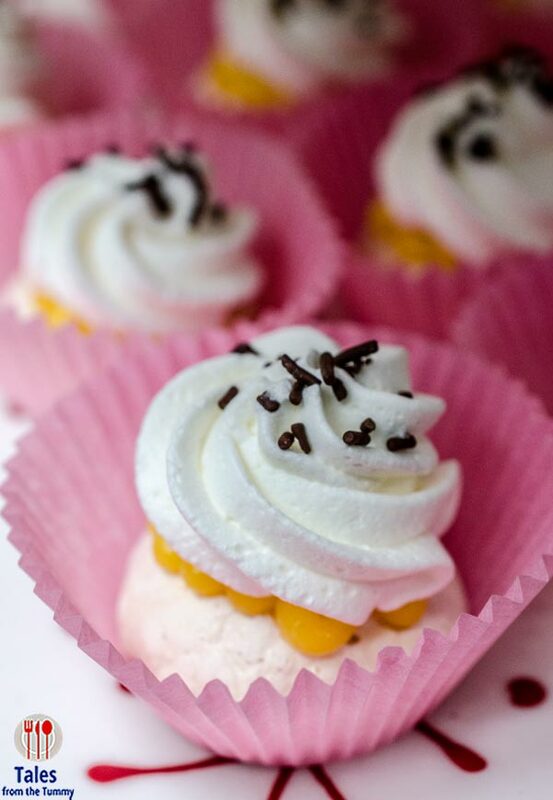 Little pieces of Lemon Pavlova, airy meringue topped with lemon cream and finished with whipped cream. 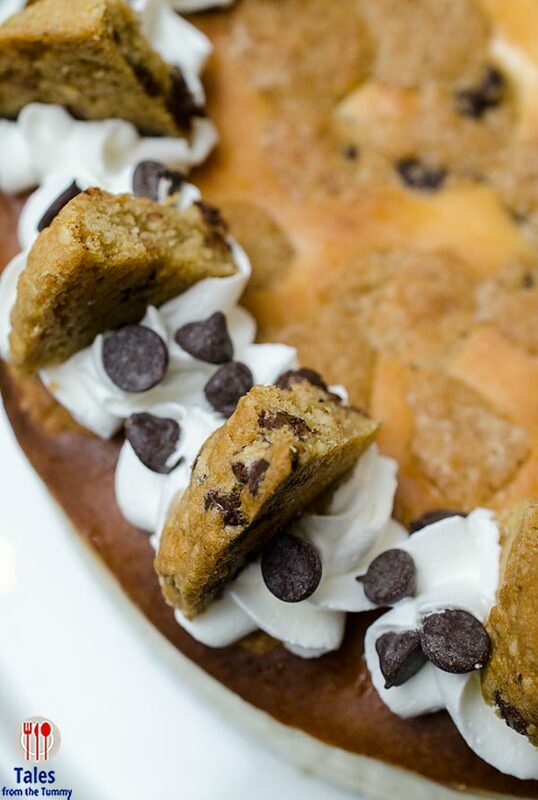 Light and tangy with just the right amount of sweetness. 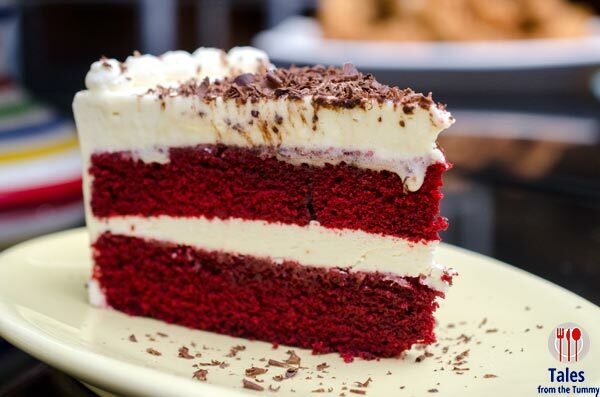 My favorite cake or more appropriately pie is the Banana Cream Pie (P960). 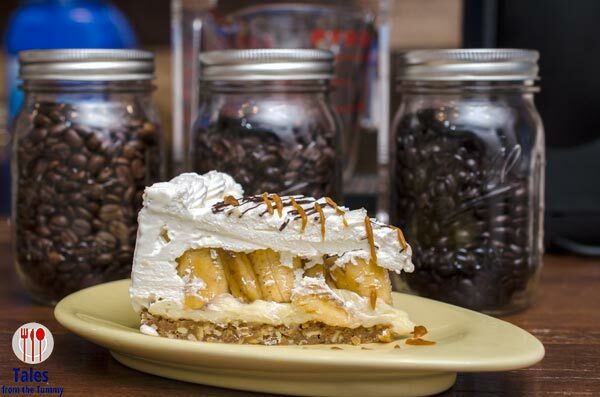 I love the simple and taste banana cream pie instead of the more heavy ones that has chocolate. One of the best versions I’ve had in Manila. 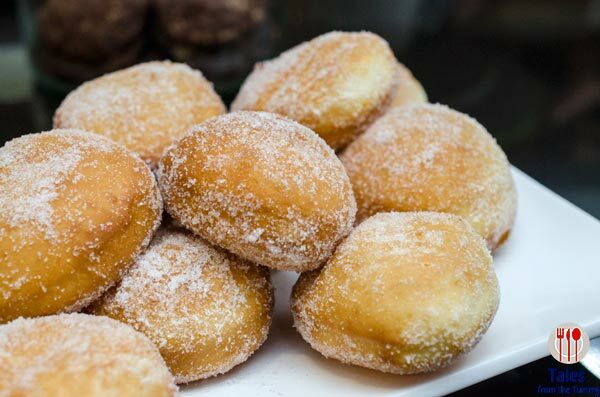 I may have loved the pie and the sans rival chips but my absolute favorite that day was the Bombolini. These are usually custard cream filled but Chef Nikko ran out of time so just tossed them in sugar which was just fine for me. I can’t remember how many I had but I’m sure I had at least 3 of these sugar babies. 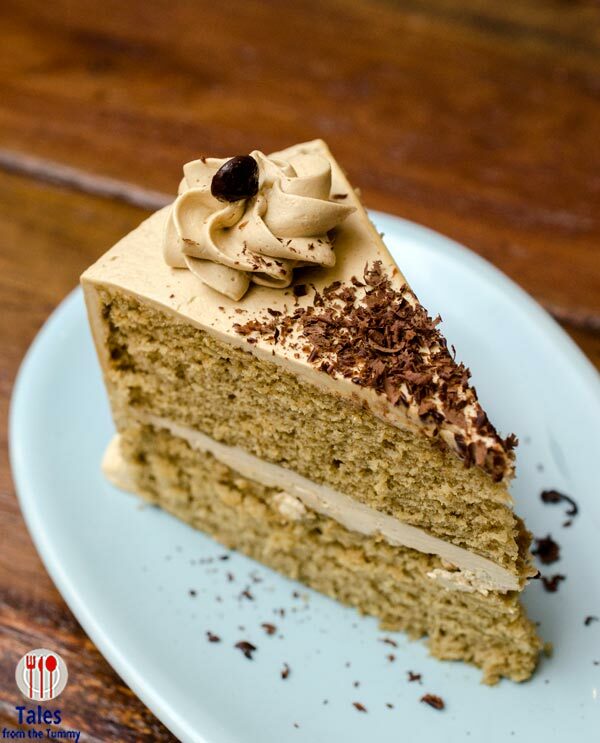 Irene and I also enjoyed the Decadent Chocolate Cake (P960/ 8″) and the Kahlua Mocha Chiffon Cake (P860/ 8″). Here’s a menu/pricelist. 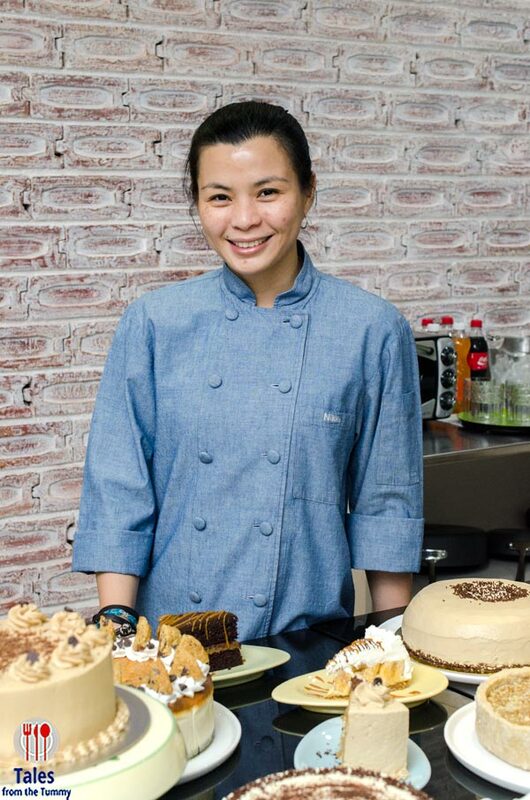 Chef Nikko can also make customized cakes and other desserts so give her a call. 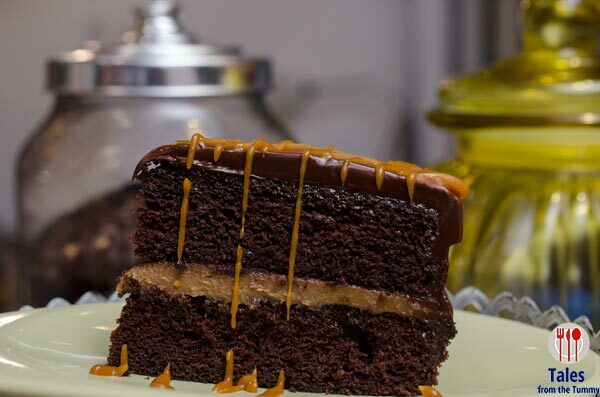 Nikko’s Baking Studio is a great place to stop by for some coffee and cake and recover from the grind of the day. 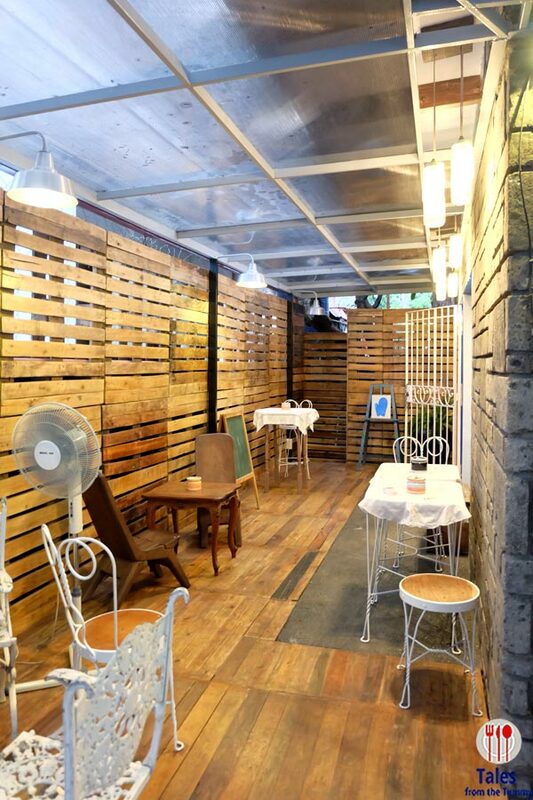 The space is homey and relaxing, a perfect place for some after lunch dessert or an afternoon snack.